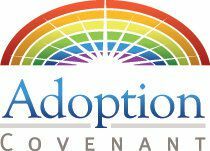 Once the birth mother and the prospective adoptive family have found each other, the counselors at Adoption Covenant will come alongside the birth mother during the pregnancy and for a specified period after birth to provide any counseling and support needed to make the adoption a smooth transition. Our counselors are professional, experienced, and well-trained in adoption. The same counselor will work with the birth parents through the entire process. Adoption can be a very emotional and difficult time for the birth mother so the counselor will provide the emotional support and professional counseling to assist the birth parents regarding the adoption plan and also how to cope with feelings of grief and loss. The counselor’s role is vitally important because communication is often difficult between the birth parents and the prospective adoptive parents. The counselor can aid in that communication.